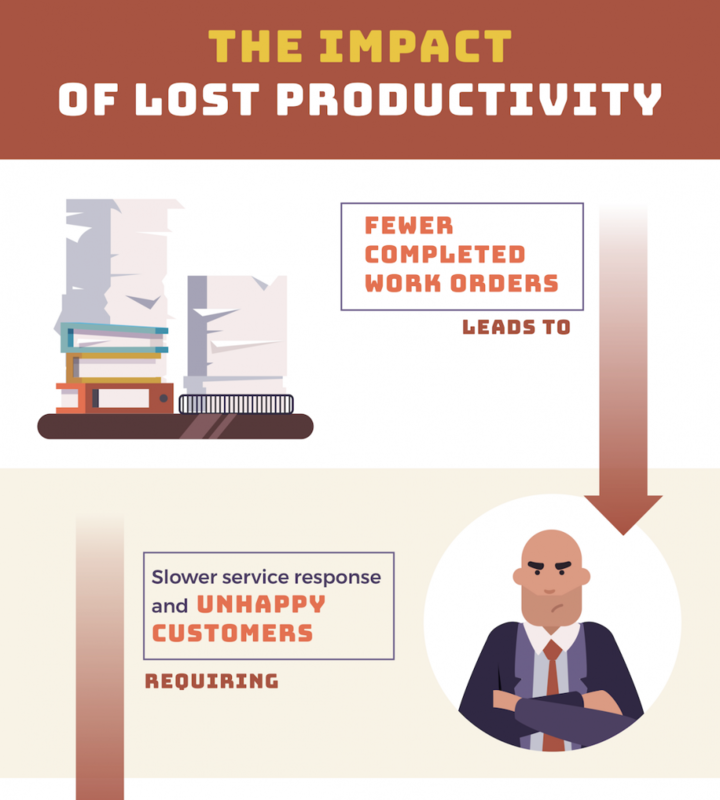 Lost productivity at a single point in a workflow often becomes the impetus of a chain reaction for even more lost productivity and extra costs. Take facility management for example. Not being able to find a document for a specific work order can result in an unhappy customer, put a facility technician behind schedule for the rest of the day, require them to put in overtime, miss scheduled maintenance tasks, and more. If this sounds all too familiar, you’re not alone. 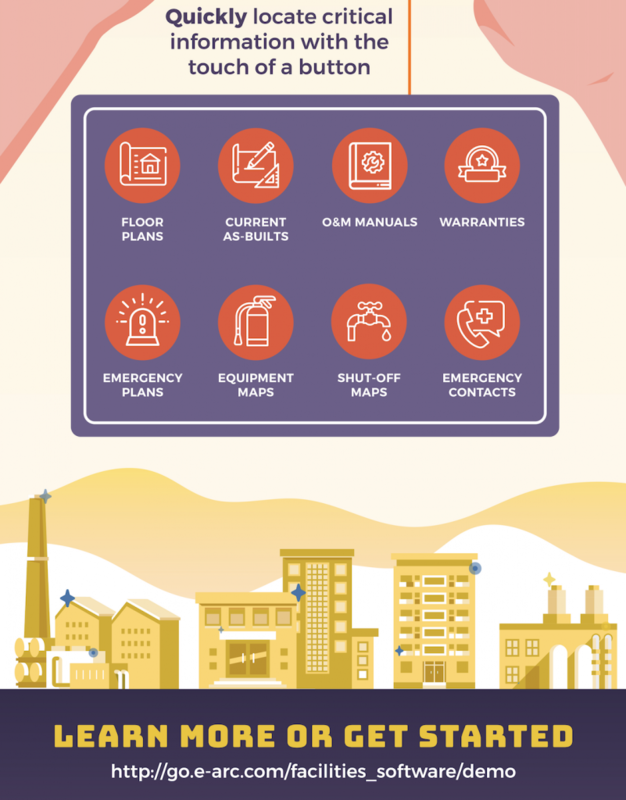 The following infographic presents a visual story of just how that chain reaction plays out at facility operations across the country – whether it be a corporate facility, higher education campus, or healthcare facility. 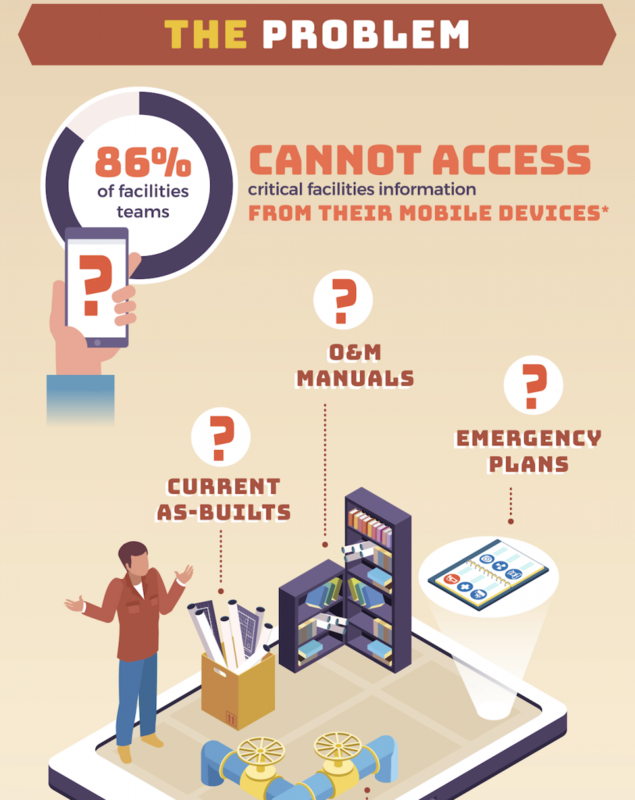 It starts with the fact that an overwhelming 86% of facilities teams cannot access critical facilities information from their mobile devices. 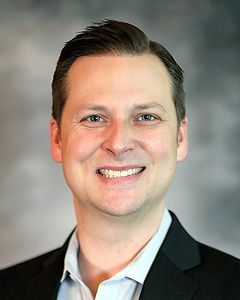 Fortunately there’s a solution for running facility operations like a well-oiled machine – without breaking the budget. 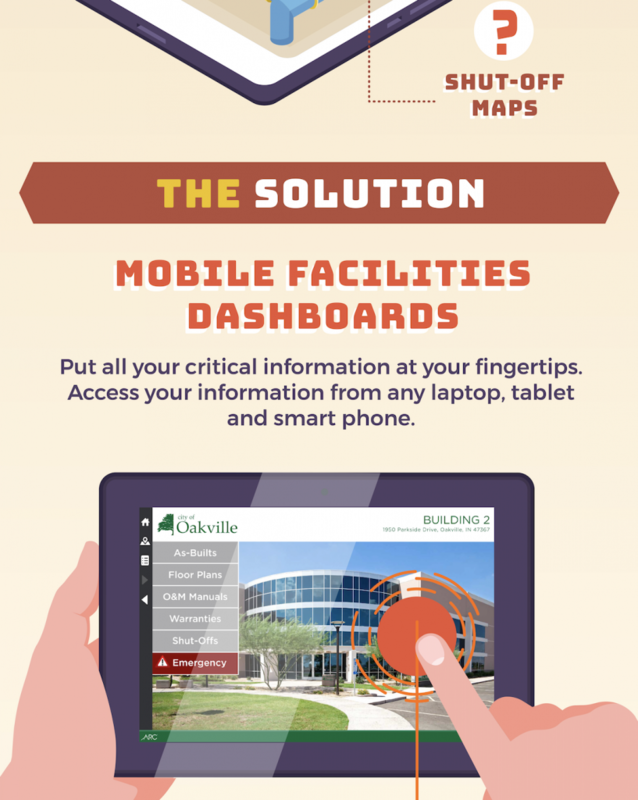 Mobile facilities dashboards provide instant access to essential building information – from laptops, tablets and mobile devices. No more searching through rolls of drawings or stacks of paper – for an average of one hour per day. Your team can also stop incurring an average of 60 hours of overtime in a single month while still missing the completion of scheduled preventive maintenance. 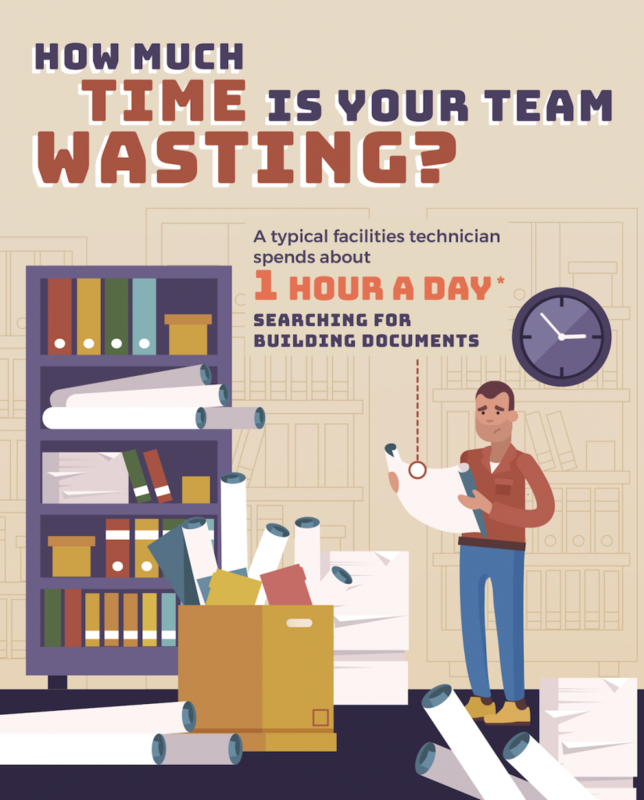 View and share this Facilities Productivity infographic with your team and senior executives to accelerate buy-in for a solution that can transform your facility operations into a high-performing facilities team.